Because of the overwhelming demand for our sewing workshops, the classes offered this fall are for teens who have never taken a sewing workshop from ArtPlace before. Learn the versatility of charm pack sewing and make key chains, mini zip bags and more. Think holidays, and start to prepare your gift giving through handmade items this year. This fall workshop will give you an opportunity to sell your wares at our annual holiday market place and make some extra cash for yourself! There are TWO workshops - sign up for ONE of them. Teen workshops are limited to a maximum of 12 students. Because these classes are offered at no cost to students, we rely on the generous contributions of businesses and private donors. It costs $325 per student each semester to conduct this program. We hope to have each of our youth individually sponsored to help make this program a reality year-after-year. Thank you for investing in our youth! For students, ages 11-18, who have COMPLETED one of Yolande's sewing workshops. 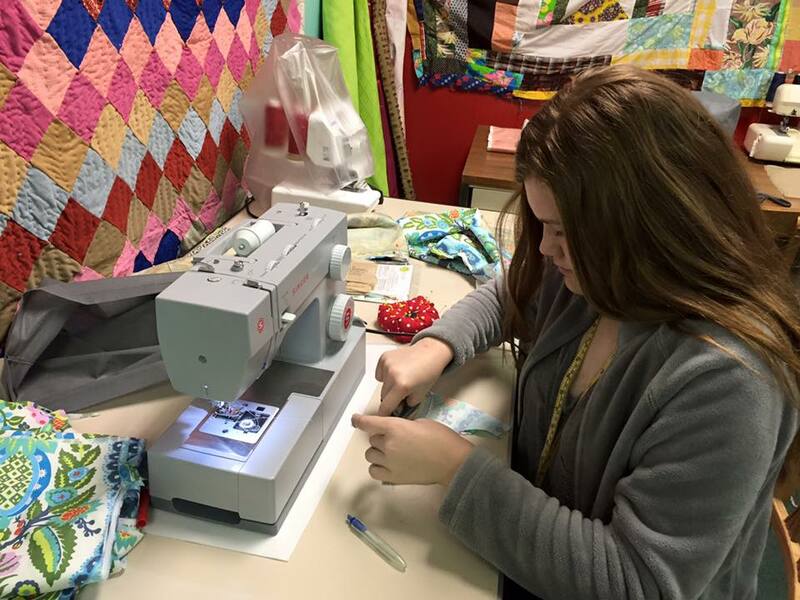 Students are invited to spend two hours weekly working on sewing projects and continuing to develop their technique. 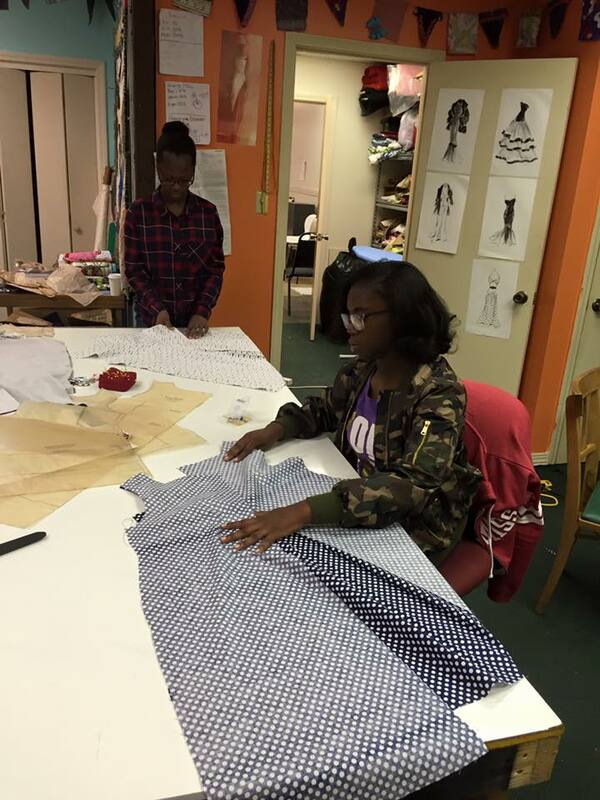 This workshop allows students to work at their own pace and is based on the "open sew" concept. Yolande will direct projects, answer questions, and help students continue to develop their skills! This is ONE sewing co-op for a maximum of 20 students. Calling ALL TEENS who want to learn how to sew! If you have been wanting to learn the basics and how to use a sewing machine, this class is for YOU. Led by Yolande van Heerden, participants will learn how to thread the machine, load a bobbin and perform general maintenance. You will make your own customized sling bag as well as a beginner dress. At the end of our class, participants will have the opportunity to be part of our fabulous fashion show: PROJECT RUNWAY, GREENWOOD! Participants will travel to Delta State University for a tour of the Fashion Merchandising Department. Participants are expected to show willingness, commitment, a go get 'em attitude, and be a part of our winning group! This class will meet every Monday and Wednesday from February 5th to April 4th from 4 pm to 5:30pm, as well as 2 Saturdays, dates to be announced from 9 am to noon. There are limited spots available for this class. Please register no later than January 22nd, so interviews can be scheduled. Calling ALL TEENS who have graduated from a previous sewing workshop and are ready to step up their game! This Level 2 class is a workshop for students who have completed a level 1 sewing workshop. In Level 2, Yolande van Heerden will lead participants to continue to build confidence and accuracy with their sewing skills. 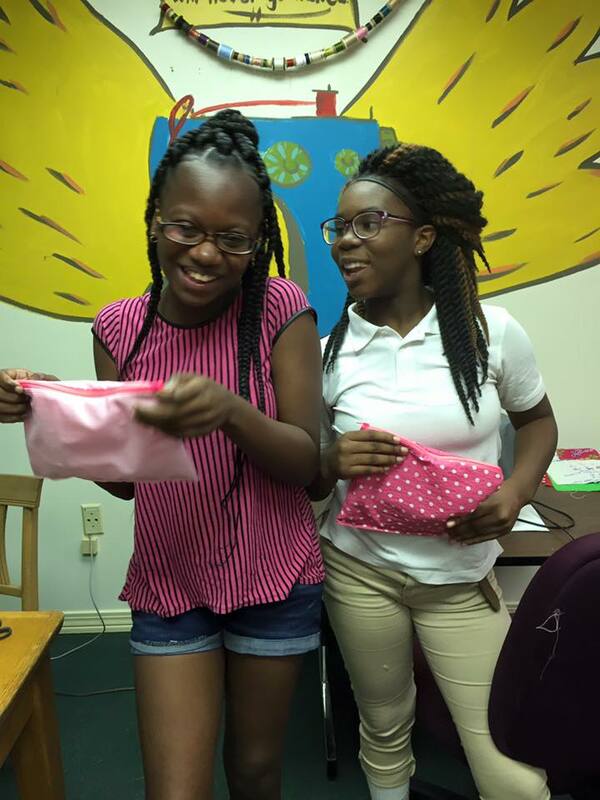 Participants will not only make a snazzy outfit, but make a super swanky sling bags to showcase at our fashion show graduation: PROJECT RUNWAY, GREENWOOD. Level 2 will also be introduced to SERGERS, How and when we use them, threading, and general machine maintenance. Participants will travel to Delta State University for a tour of the Fashion Merchandising Department. Participants are expected to show a willingness, commitment, a go get 'em attitude, and be part of our winning group. This class will meet every Tuesday and Thursday from February 6th to April 5th from 4 pm to 5:30pm, as well as 2 Saturdays, dates to be announced from 9 am to noon. There are limited spots available for this class. Please register no later than January 22nd, so interviews can be scheduled. Highlights from last year's classes!